Basements cannot be cleaned properly because we tend to store in there a million things. From old furniture and personal belongings to old clothes and carpets, the basement is filled with too many things, which often don’t allow us to notice a small leakage that could ruin most of our personal things. Furthermore, a flooded basement is not useful at all and requires immediate flood clean up by professionals in California. How can I prevent flood in the basement? * Most basements are used as storage rooms, but things must be placed in order because it’s hard to work in chaotic places or detect water pipes problems. You must leave access points between boxes or furniture to make it easier to approach the weak and damaged points. * Don’t place carpets on the basement floor or other valuable furniture that might get damaged if the basement is flooded. * The best way to prevent damage is regular inspections of the room. If you have placed a rug on the floor, turn it ups and down for mildew inspection. Sometimes, moisture appears as a small stain and professional cleaning companies in ierra Madre have the means for mold removal. You must make sure they are experts in drying and dehumidifying flooded areas as well as carpet water restoration. * Most cleaning companies today provide various services ranging from fire damage restoration to grout cleaning. If the water is dirty, the professionals can also purify the area from bacteria and mold. They have dehumidifiers that can dry well the area making sure it is completely dried when they leave. 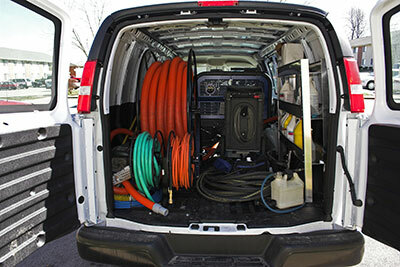 They can also offer you an odor removal service that will freshen up the environment.